Not a bad little conversion of Klaw there PD... you should have done one of your own drawings of him though, as a finishing touch. mancerbear wrote: Not a bad little conversion of Klaw there PD... you should have done one of your own drawings of him though, as a finishing touch. I have, in fact, drawn him, but it is not yet done. I should have him in a bit. This is the first time I've given your thread a look... WOW! I am very impressed indeed. I had wondered about the ease in which a fantasy game might be ran with M&M... your builds make things oh, so much easier! His efforts do indeed justify his title of Prodigious! This is an attempt to convert the spells from the Dungeons and Dragons Player’s handbook to the Mutants and Masterminds system. 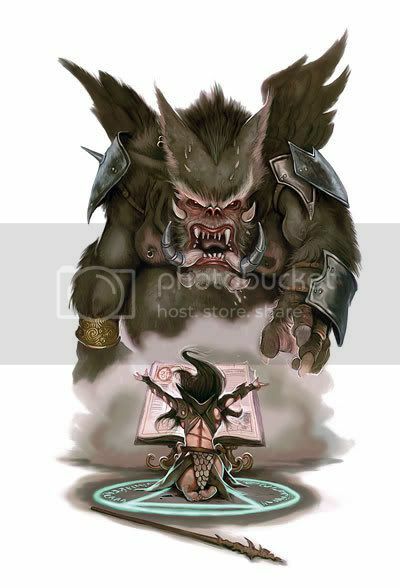 Keep in mind that not every spell from the PHB will be available, as some spells simply do too much or have descriptions so complicated that they are unable to be properly represented by the M&M rules. Plus, once is all said and done, I will probably have to go back and edit a LOT of creatures with Spell-Like Abilities. 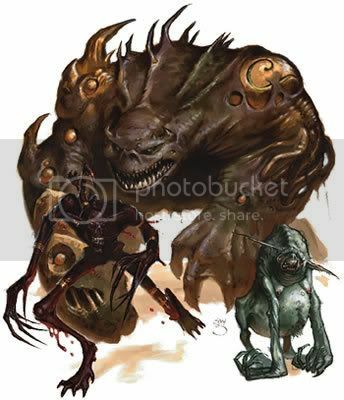 “Antilife Shell” – As described in the PHB, this spell cannot be properly represented in Mutants and Masterminds, as it would be a PL X Mind Control [No Save] power to keep all living creatures away from the caster. As it affects all living creatures; no matter their PL or Willpower. “Antimagic Field” – As described in the PHB, this spell cannot be properly represented in Mutants and Masterminds, as it would be a PL X Nullify Magic [Area – Burst, No Save]. As it affects all magic effects; no matter their PL or Rank. “Antiplant Shell” – As described in the PHB, this spell cannot be properly represented in Mutants and Masterminds, as it would be a PL X Mind Control [No Save] power to keep all plant creatures away from the caster. As it affects all plant creatures; no matter their PL or Willpower. I wish I knew who came up with the names of D&D creatures. It must be an interesting job. 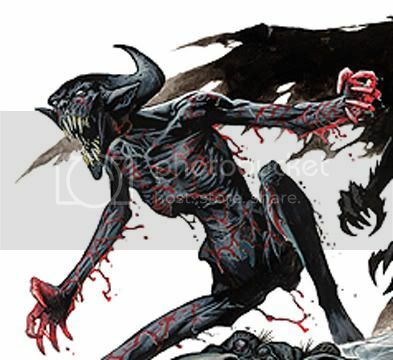 I always liked the various demons/devils in D&D. Also, a very useful conversion list of D&D spells. 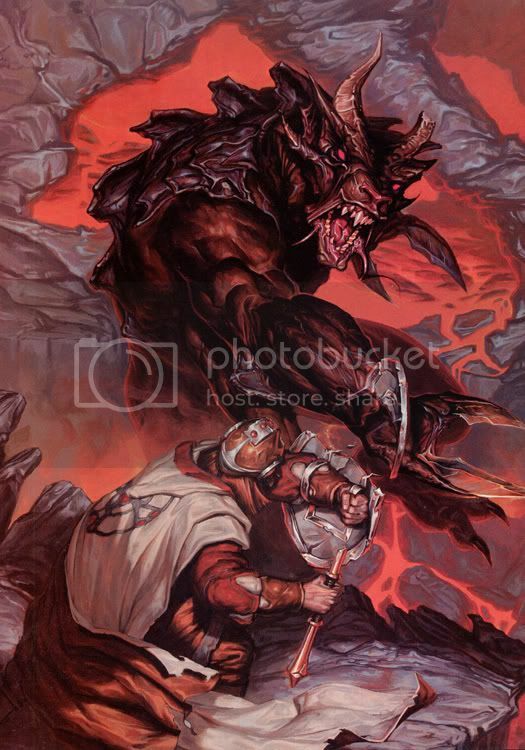 Taliesin wrote: I always liked the various demons/devils in D&D. BTW, Tal, I noticed you changed your avatar. That is a nice piece of art. 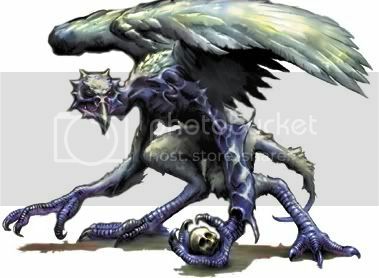 Libra wrote: I wish I knew who came up with the names of D&D creatures. I do prefer the Names over Types 1-5. Last edited by prodigyduck on Mon Oct 22, 2007 11:14 am, edited 1 time in total.